These are high quality batteries under $20. They have higher mAh ones, but those all run ONLY at 5V. I want to power my V2 and V3. Does anyone know where I can get a USB > V2 cable running 12V? Ted makes cables but not sure he makes USB Power converter cables...he said if I shipped the USB to 12v/9v converter cables that he would change over the output connectors for the V2 and Aerco, but, this is definitely nothing on his price list and priced as required basis. The stock USB >12v/9v cables are here...you want them? I'd love to see this happen. That looks like a fine battery pack, but there's some uncertainty in knowing exactly how much power it will deliver since they don't specify the voltage for the milliamp hour rating. My guess is that they're using 3.7 volts as the reference since that's the standard voltage of a lithium ion cell. Given that, the 10,400 mAh pack could deliver about 38.5 watt hours (10.4 x 3.7 = 38.5). For under $20, that seems like a fair price. That MaxOak battery for $130, mentioned by Hypnocracy, puts out a hefty 185 WH. This unit can't go on an airplane since it's over the 160 WH FAA limit. 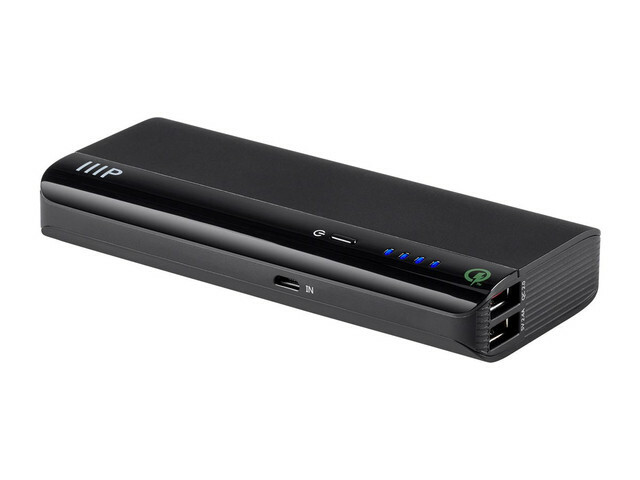 The TalentCell "12V/8300mAh" model for $50 puts out 100 WH an is OK for air travel since it is under 101 WH. The larger "12V/11000mAh" model for $65 puts out 120 WH and needs airline approval to fly since it is in the 101-160 WH range. Both units can output 5V, 9V, and 12V simultaneously. The weight of the battery packs tells the same story: The Monoprice 10,400 mAhr (38.5 WH) weighs 9.1 oz, TalentCell 12V/8300mAh (100 WH) is 24 oz, and the MaxOak 185WH is 45 oz. Hope that this is helpful in sorting out the mAh confusion in the marketplace.